On Friday, two dockless bike-share companies — Pace and Lime — launched service in the Rockaways. It’s the first of four pilot areas where five bike-share providers will show their stuff before City Hall and DOT decide on a plan of action to expand bike-share. 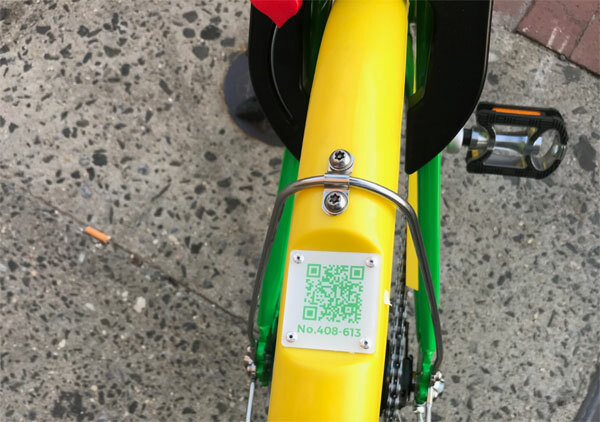 To use Pace and Lime, you locate and unlock bikes via an app. Each trip costs a dollar per 30 minutes. For the first weekend, 50 Pace bikes and 100 Lime bikes were available, with each fleet scaling up to 200 bikes later in July. At this early date, there’s only so much we can glean about how well each company’s product works. In a few months, we’ll have a better sense of their bike maintenance and distribution capabilities. But even then, these are small pilot areas that are very easy to operate compared to a fleet and coverage area of sufficient size to make bike-share a large-scale transportation option. What we can evaluate is the quality of each company’s bicycles before absorbing any wear-and-tear, plus their mobile interfaces. So Streetsblog put out a call for people to try out the services and send us brief reports. Since one of the knocks on some of the dockless bike-share companies is that their bicycles aren’t sized well for taller people, we asked for volunteers at least six feet tall to do the testing. Reader Jim Burke lives in the Rockaways. At 5’11” he’s a little shy of our preferred height threshold, but we decided that’s not disqualifying — taller than average works. Here are his first impressions from Saturday. Stay tuned for more reports as we check in on these bikes throughout the summer and fall. I tried out Lime and Pace today. I had both apps already downloaded before I arrived in Rockaway. I took the ferry in from Manhattan and there were a few Pace bikes locked up at the dock. I used the app to unlock, although it was difficult at first to determine which bike I was unlocking. The Pace bike was fine but felt a little narrow — like the handlebars were more close than I’m used to. It didn’t pose any issues for my height though at all. The basket was great as I had two bags. I’m only 12 blocks from the ferry so I was home probably before the shuttle bus finished boarding passengers, but I rode around for half an hour. The gears seemed to skip once — otherwise a smooth ride. Locking it up took a moment but was easier than I thought it would be. But you do have to lock it up with a built-in cord. I locked it to a no parking sign outside my building and ended my ride on the app. Next up I tried the Lime bike. There were two right outside my apartment on the boardwalk. There were two bikes, but the app let me ring the bell with a touch of my phone so I immediately knew which was which. That’s a great feature. You have to scan a QR code, and at first that was a challenge because there is a built-in phone holder that partially obscures the QR code, however the app showed me there was another code on the back fender and I unlocked it and off I went. Very intuitive app. It was a nicer bike than the Pace. In fact a lot of neighbors thought I got a new bike and complimented me on the color. I had to ride in sixth or seventh gear to be comfortable. Otherwise I was pedaling and getting nowhere. No issues with gears skipping. I also rode around the Lime for about half an hour. Very comfortable — I think I prefer the Lime. No issues with height either. Good ample basket. But the app and not having to use a chain was very very nice. Just slide the red lever thing in the back to lock and click “end ride.” App/tech behind this bike seems solid and well thought-out. I have my own bike but I use Citi Bike pretty much all week in Manhattan since it started. Neither bike had the heft or strong quality of a Citi Bike. Of the two, the Lime felt more like an everyday bike than the Pace. I think it will be invaluable to visitors who are coming to Rockaway from the ferry or the Q53 or the A train. I see so many people waiting for the Q22 or the Q35 or the ferry shuttle when now they can just hop on one of these and go anywhere in Rockaways/Riis without waiting. They can go to an empty beach or any restaurant. It will be amazing for short trips. The Lime bikes kickstands are poorly constructed and break off. It feels like 50/50 whether you will find one with a working kickstand or not in Yonkers. Hasn’t hurt too much. Users just rest them against trees or buildings. I don’t like and can’t use services that require an app on a smartphone (which I don’t have). He hasn't expanded Citi Bike and seems to be looking for a dockless stopgap.